Get up close and personal with New Zealand's natural wonders on this 13 day wilderness experience tour. Explore the stunning Fiordland National Park as your enjoy a guided hike on the world famous Routeburn Track, spend your evenings in full equipped mountain lodges before heading back to Queenstown to begin the rest of your South Island tour. Journey to the pristine wilderness of Te Wahipounamu World Heritage Area and immerse yourself in the natural wonders that abound. Continue north to board the TranzAlpine scenic train on your trip back across the Southern Alps to Christchurch. Begin the journey back to Queenstown, stopping in Mt. Cook National Park for the ultimate scenic flight over Mt. Cook and the Southern Alps. 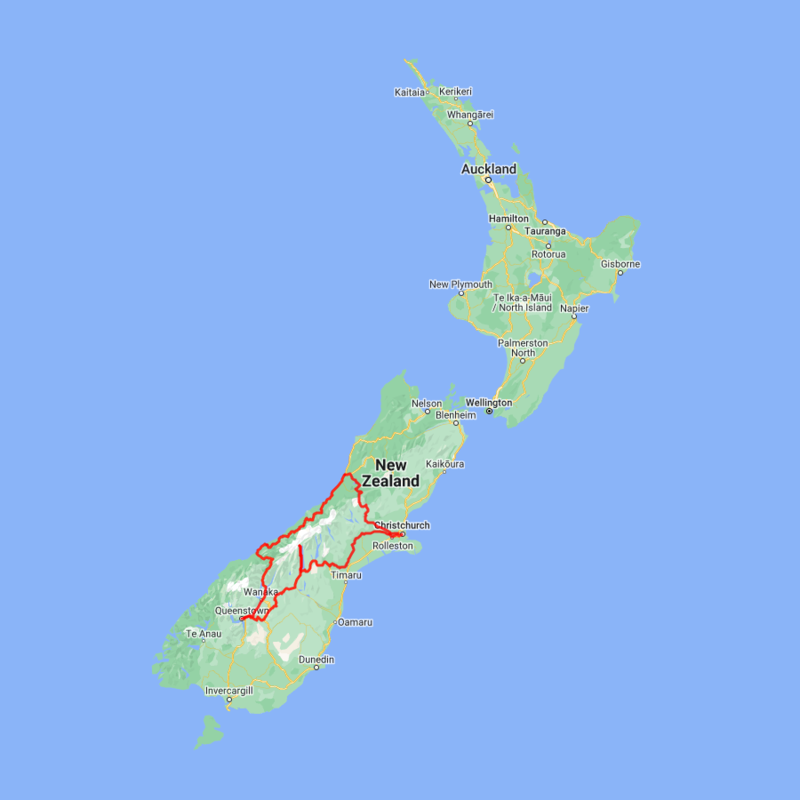 You can expect to spend around NZ$163 in fuel cost on this itinerary based on an intermediate sized car. At 3754 meters Aoraki-Mt. Cook is New Zealand's highest mountain, located deep in the heart of the Southern Alps. From the Visitor Centre at the southern end of Lake Pukaki, you will be rewarded with magnificent views of this immense peak. As well as its impressive beauty, Mt. Cook National Park is also home to a huge range of awe-inspiring sights and activities. Take to the air with Mt. Cook Ski Planes for a scenic flight that includes a glacier landing. At around 27 kilometers long the Tasman Glacier is New Zealand's longest and a Glacier Explorers tour will give you the opportunity to see its unique features. There are many short hikes in and around the park and these are well signposted. For a fascinating guided tour the Mt. Cook Encounter Guided walk is a must-do and those with an interest in the night sky should take a stargazing tour of the Mt. John Observatory. The region is considered to have one of the clearest night skies in the world and is one of the few gold-rated dark sky reserves worldwide. The Hermitage Hotel complex offers fine dining, multiple cafes and a bar. Visit the Sir Edmund Hillary Alpine Centre for insight into this region’s mountain climbing history. You’ll also learn of Sir Ed's incredible achievements and his dedication to helping others around the world.